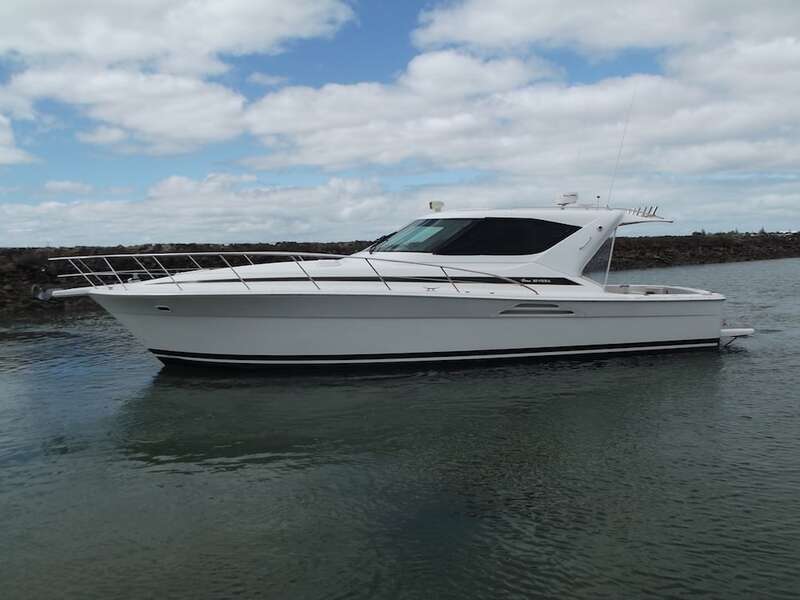 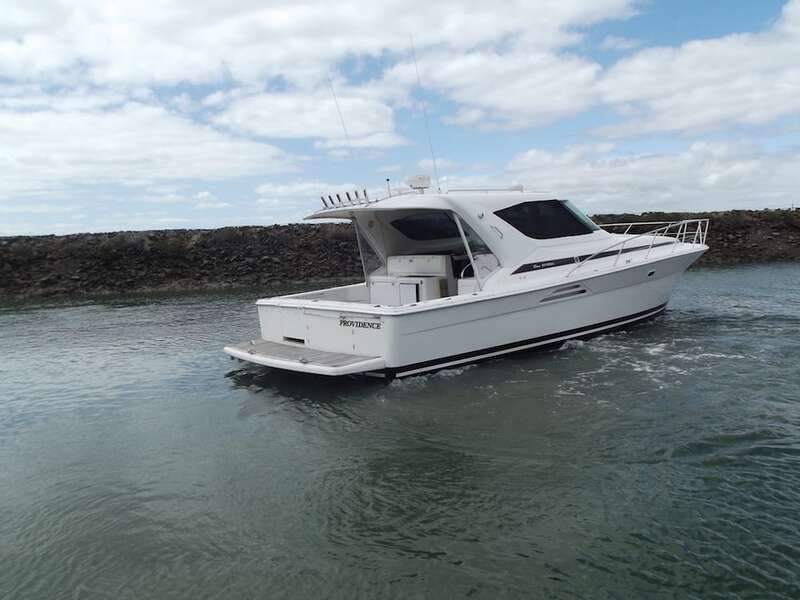 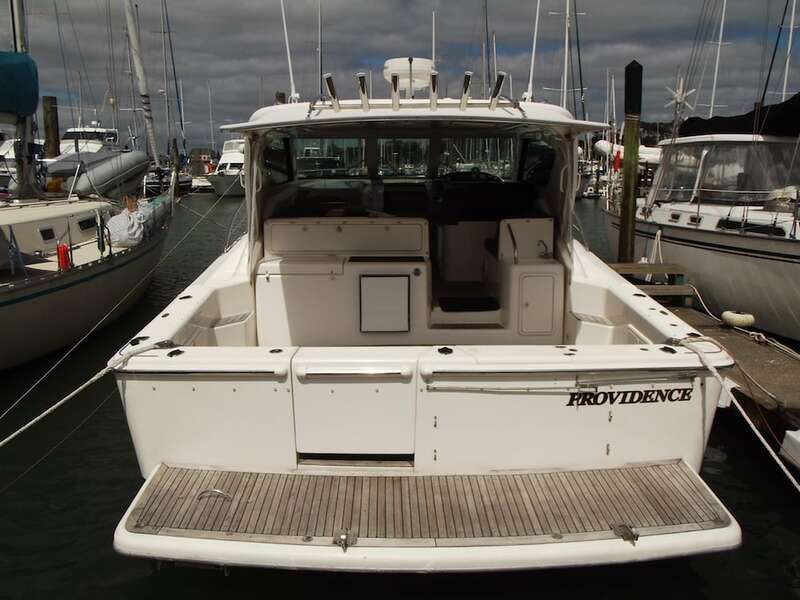 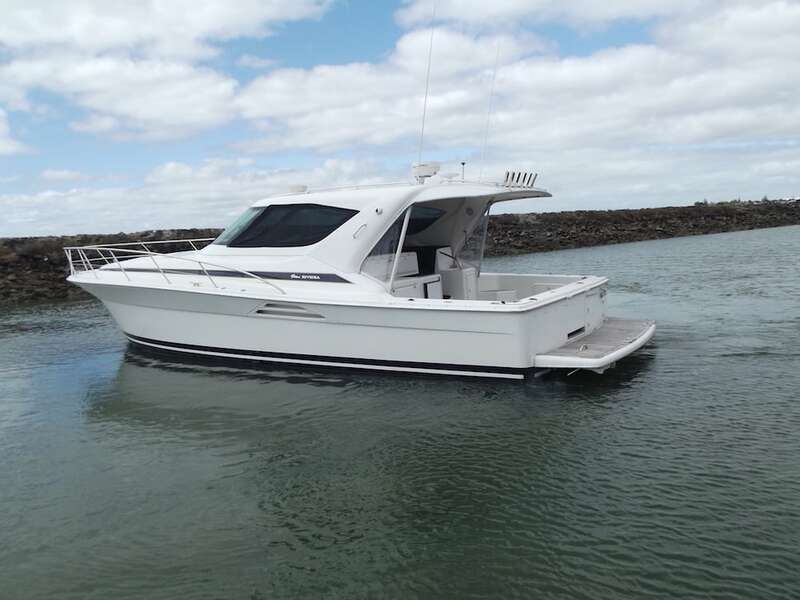 A timeless Riviera model that the Riviera brand was made on, the 4000 Offshore is an ever popular vessel built for cruising, comfort and adventure. 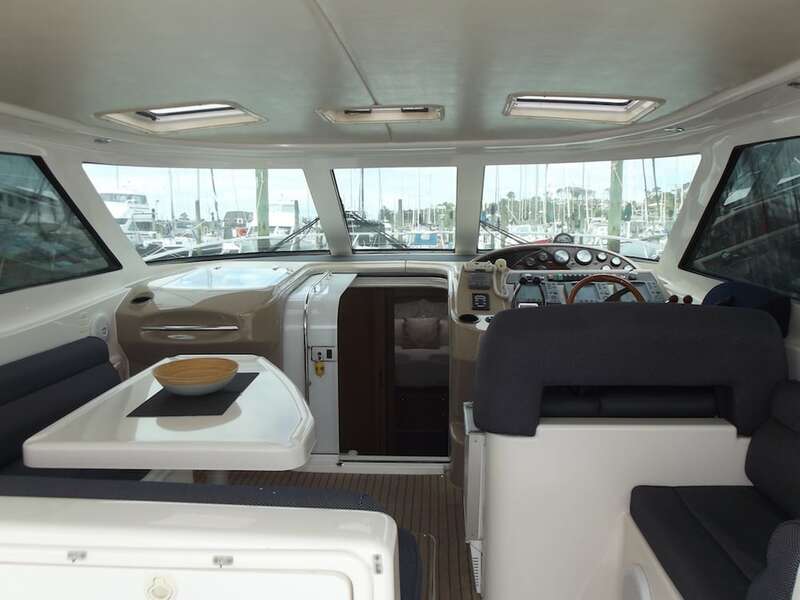 An absolutely outstanding blue water vessel, this 2002 Riviera 4000 Offshore 2 cabin vessel will not disappoint. 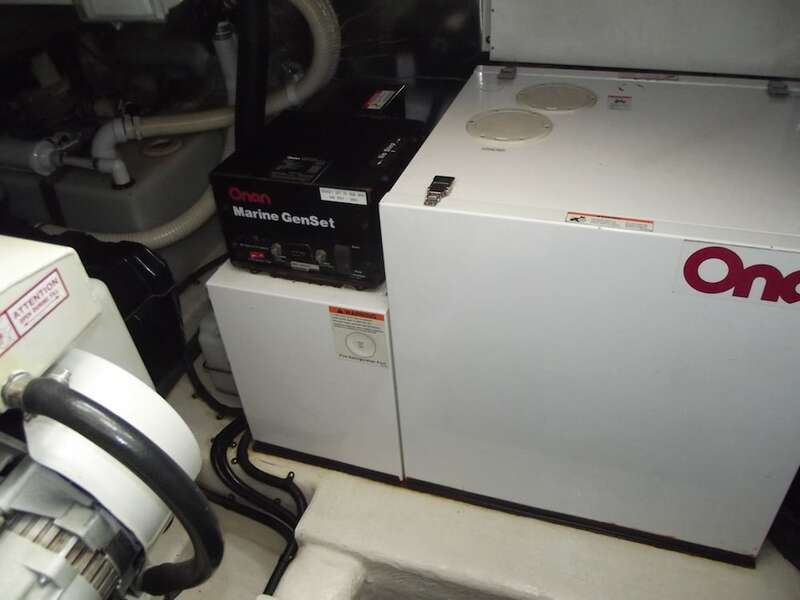 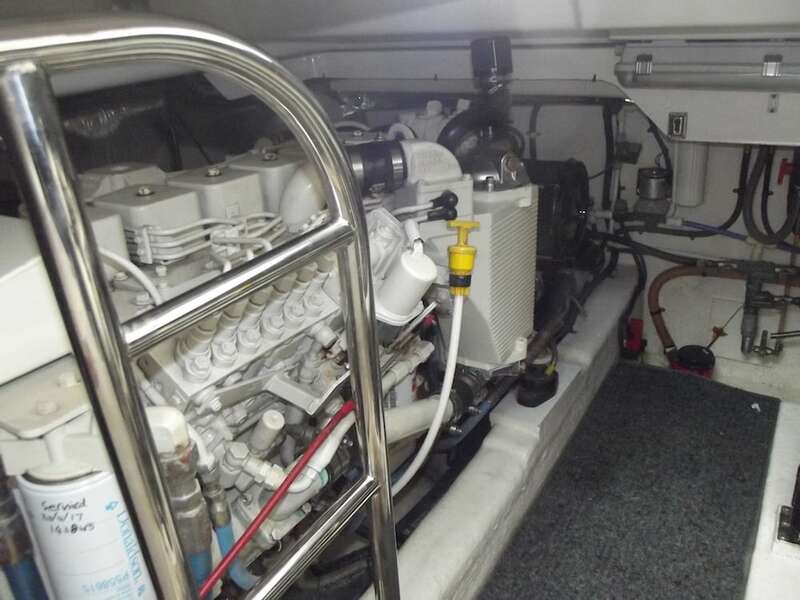 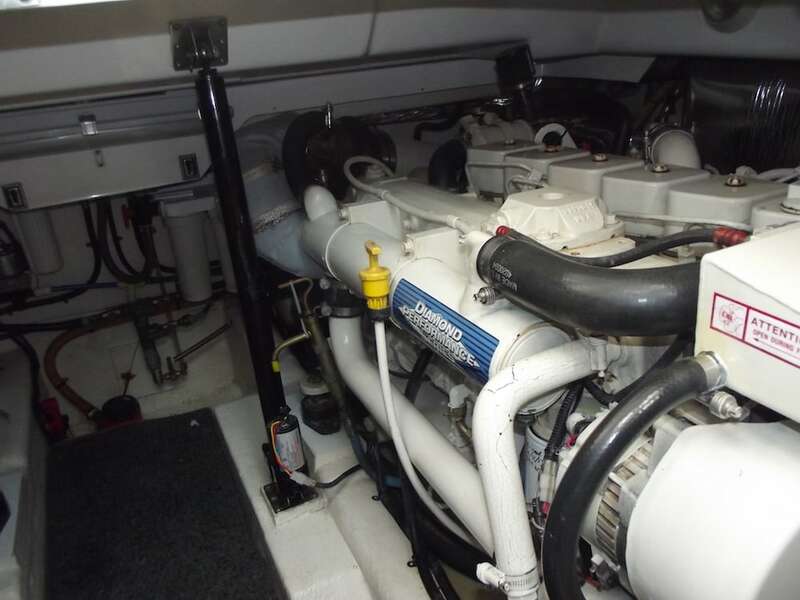 Twin Cummins 370hp diesel engines on shafts with only 1500hrs gives you a smooth and comfortable cruise speed of 21 knots with a max of 28. 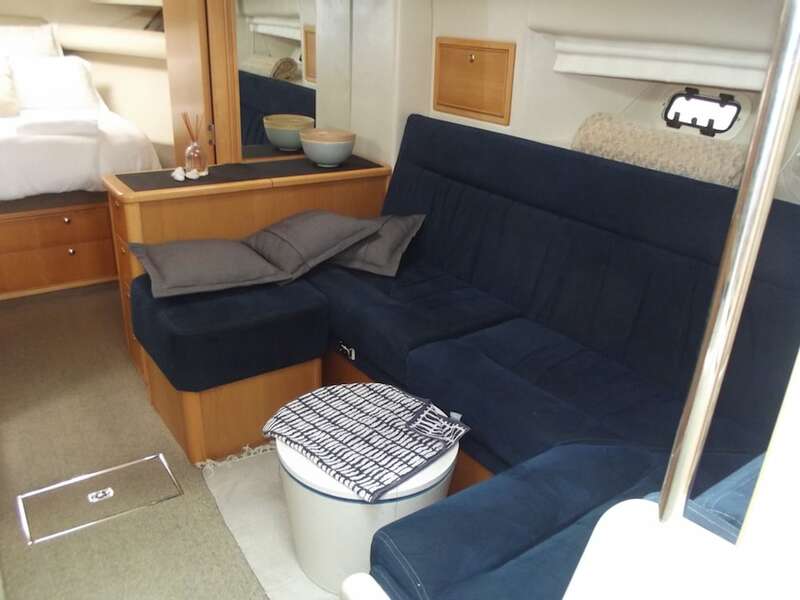 Sit back and relax in the very spacious and comfortable upstairs saloon which opens out onto the large rear cockpit — great for entertaining or fishing. 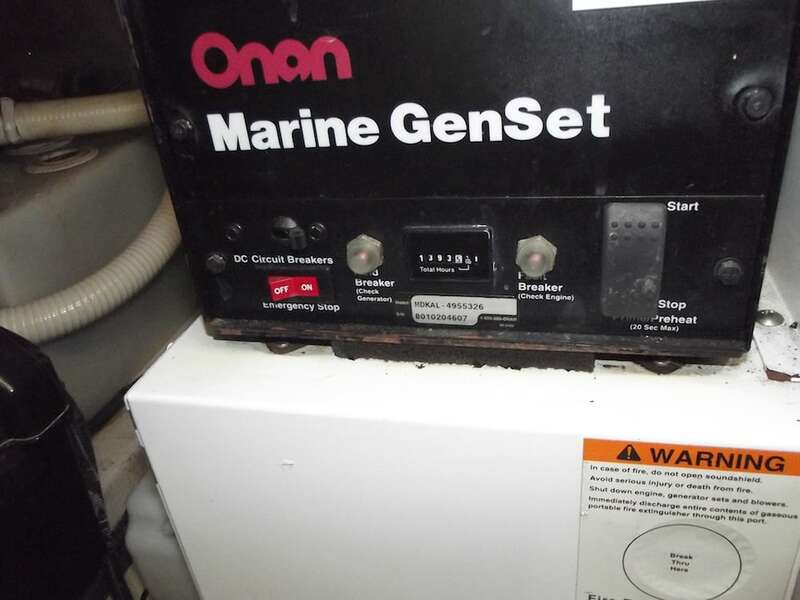 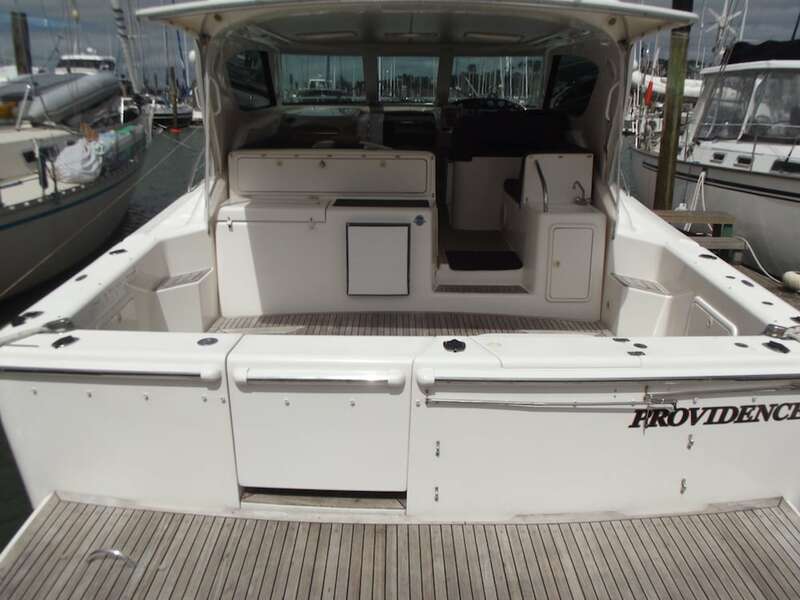 Hosts a large cockpit freezer with a transom built in live bait tank. 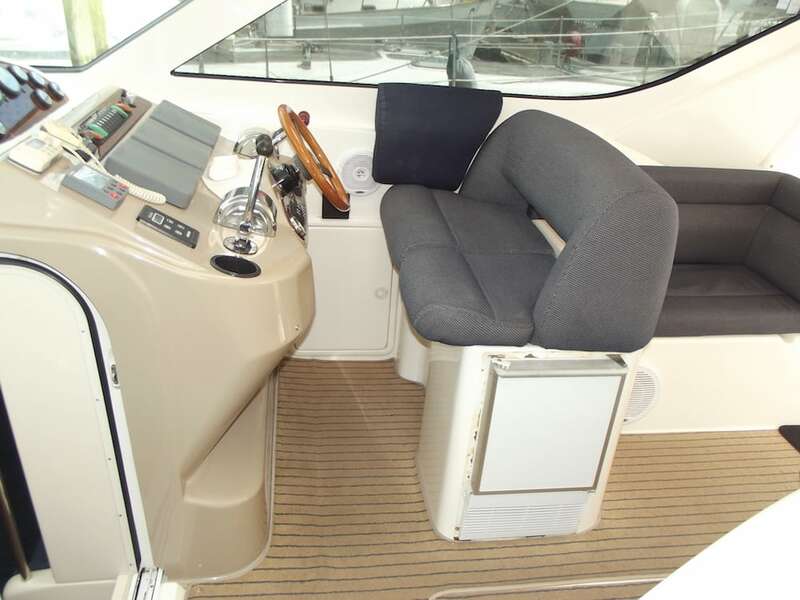 BBQ, water maker, generator, Raython GPS, radar, chart plotter, fishfinder, auto pilot, VHF, auto anchor, ice maker, and more. 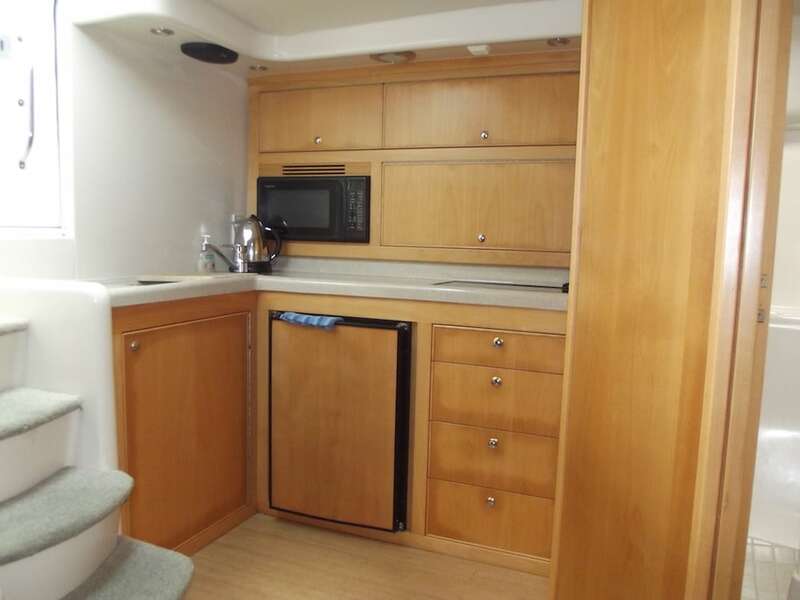 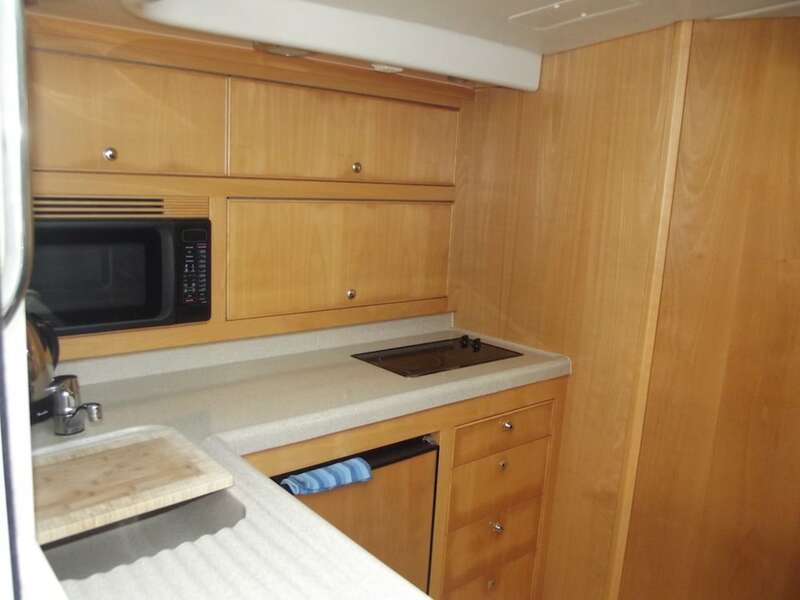 Full size toilet + shower, spacious downstairs saloon gives you privacy and access to a very roomy galley with microwave oven and twin hob electric elements, fridge freezer. 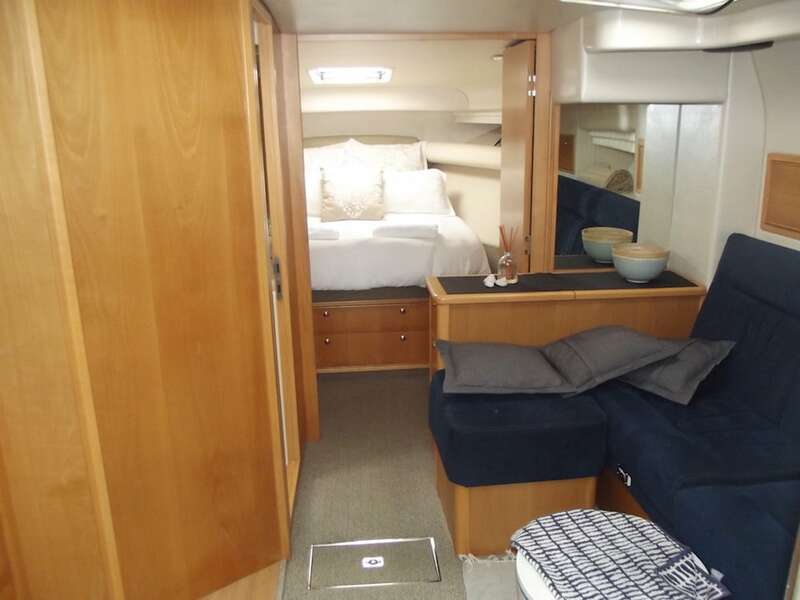 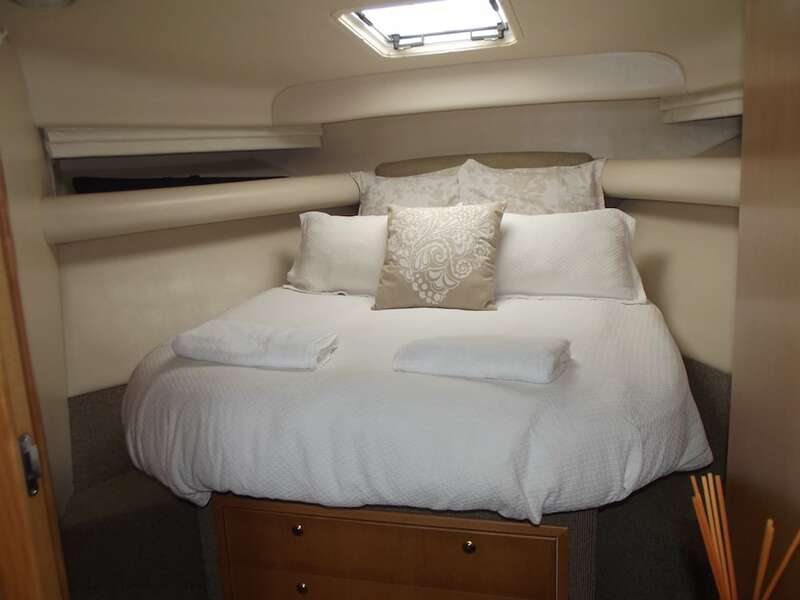 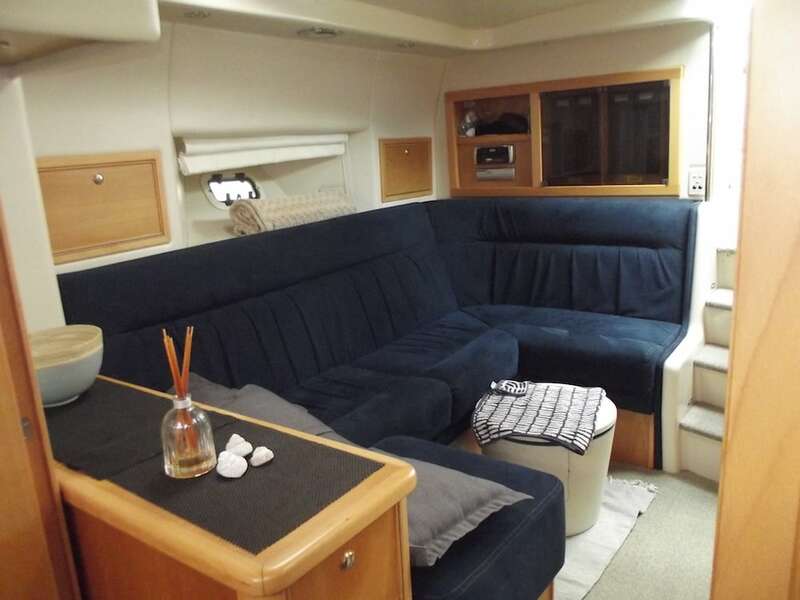 Vessel can sleep up to 7 with a comfortable island double bed up front. 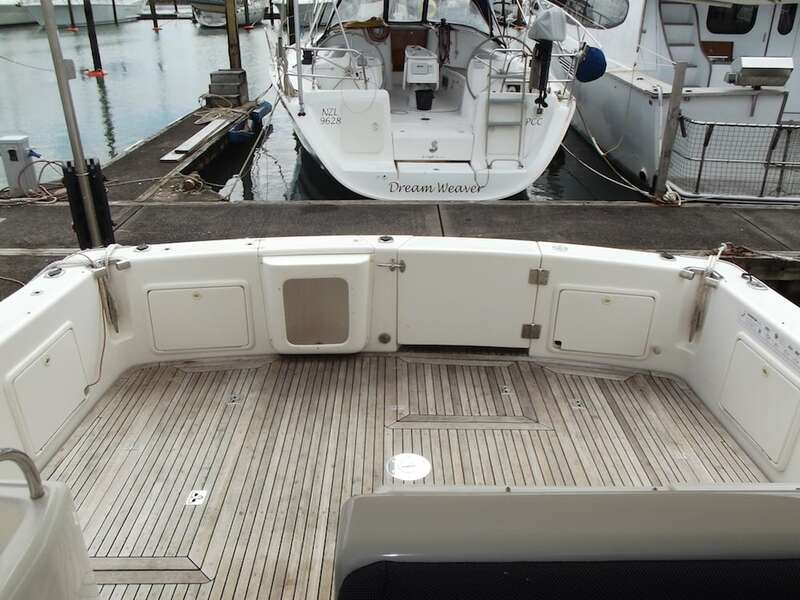 Vessel has just had new antifoul, new shaft seals and prop speed as well as new rear clears. 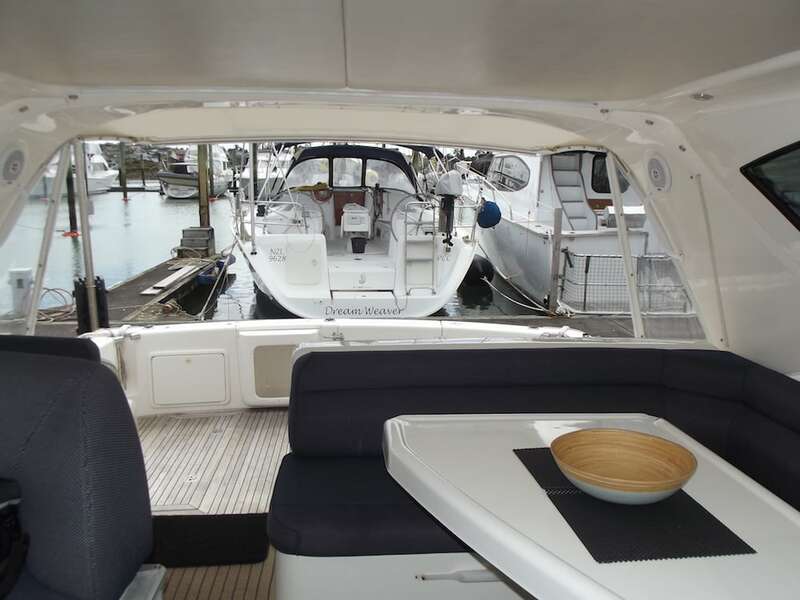 Has been kept in excellent condition by last two owners and is ready to go for summer. 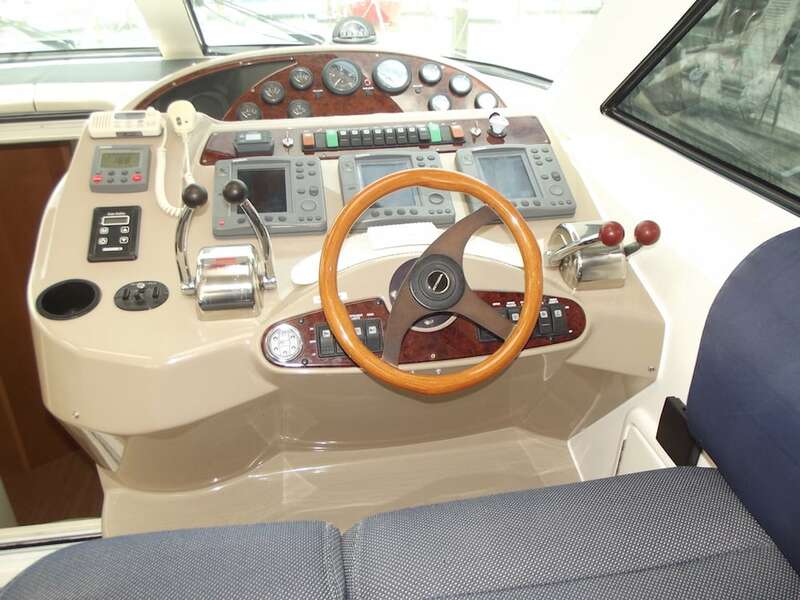 Marina berth available with the vessel at extra cost. 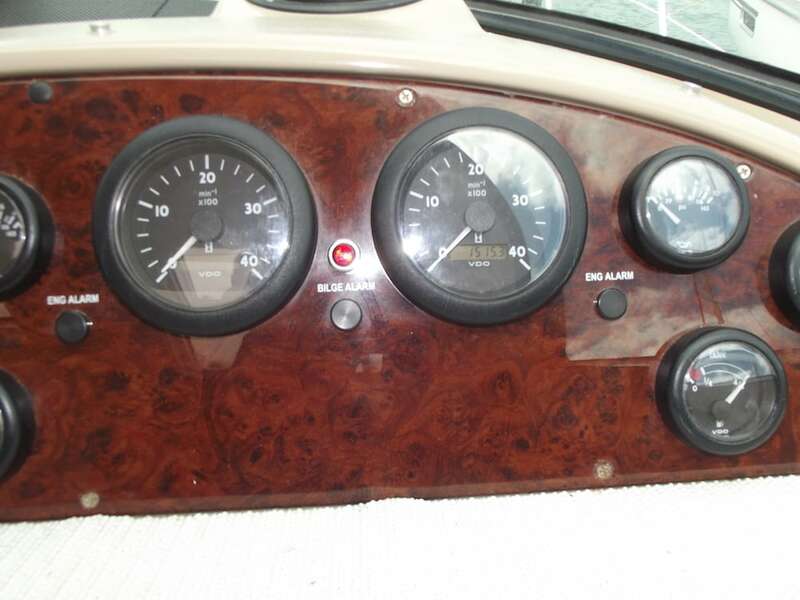 EQUIPMENT Large CockPit Freezer, Live Bait tank, BBQ, Water Maker, Generator Raython GPS, Radar Chart Plotter, Fishfinder, Auto Pilot, VHF, Auto Anchor, Ice Maker, and More. 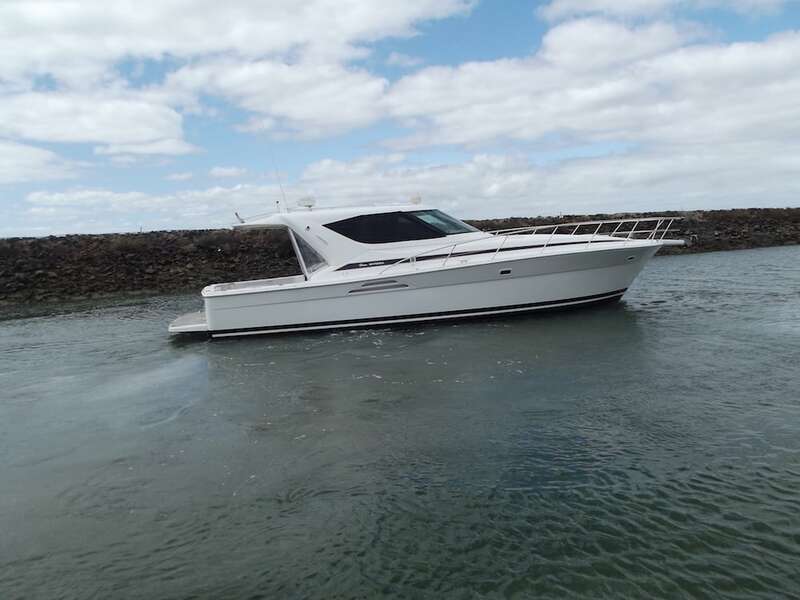 Or enter your details on the form and we’ll get back to you.